Are you looking for help with your heating and air conditioning in Roseville? For such an important element to your home’s comfort snd well-being, it is essential to find a company you can depend on. As a trusted name in heating and air conditioning, Prescription Heating & Cooling is dedicated to helping you and your neighbors with all of their heating and cooling needs. Whether it is something as simple as changing a filter or installing a new heating or cooling system, we are more than ready to assist any time you are experiencing issues with your air conditioning, heat pump and other HVAC-related technology. We know how important it is to our customers that they keep their family happy and comfortable. That is why we are dedicated to ensuring you get the service you need, when you need it most, from installing new equipment to repairing your existing furnace or air conditioner. Do you need more than just a repair? Our heating and air conditioning professionals can help you determine what type of new system to install so that it works its best in your unique home. 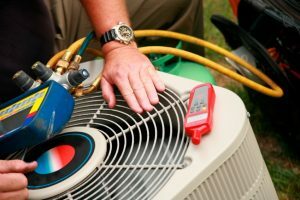 We offer specialized services for all aspects of caring for heating and air conditioning systems, including 24/7 emergency services, scheduled maintenance and more. Just give us a call to find out more and we can get you on our schedule! Did you know that a heating or air conditioning unit that is too big or small will have you spending more on heating and cooling your home? Our technicians will take meticulous measurements to ensure you get the proper-sized unit installed in your home. 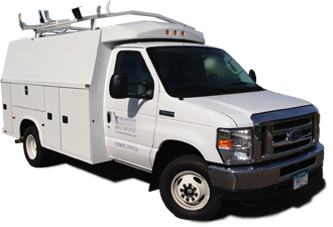 And, at Prescription Heating & Cooling, since we are a local company, we are well versed in the heating and air conditioning needs of the area. When you choose us, you can feel confident you’ve chosen the best in heating and air conditioning. Our heating and air conditioning experts offer friendly, reliable service ensuring you will be happy with the high level of customer service we provide. When you give us a call at Prescription Heating & Cooling, we will send out a professional heating and air conditioning technician to inspect your equipment and see what the problem may be and what needs to be fixed. We will never recommend any products or services you do not need and we will never price gouge. You will get fair, honest and straightforward service at a great and competitive price every time. When you need reliable service for your heating and air conditioning in Roseville and surrounding areas, give us a call at Prescriptions Heating & Cooling. Contact us at 651-767-2737 or get a Free Estimate on New Installations.